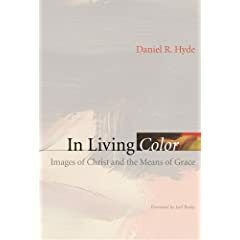 Several months back, I got a copy of Danny Hyde's excellent new book that concerns images of Jesus Christ, In Living Color: Images of Christ and the Means of Grace, and have since found it a wonderfully edifying and clear exposition of an almost totally-forgotten doctrine. How many of us who grew up in evangelical Christian homes in the 70's did NOT have what I lovingly call the "Jesus Christ senior portrait" on their parents bedroom wall or Dad's study? Like them, so did I. Churches, too, got into the act, and many had (and still have!) them in their sancutaries and fellowship hall. Who ever would have thought that images of Christ were inappropriate or idolatrous? It is sad to say that none did, and I certainly had no different ideas until I began learning Reformed thought in the early 90's in suburban Chicago in the PCA. It was there I came into contact with the Westminster Standards and came to a rapid conviction that images of Christ (and the Godhead in general) were right out. Convincing others of that fact, though, has been nearly impossible - this is where Hyde's book is most helpful. He traces the Bible's teaching on images, what he calls "Man's Media", and then follows up with "God's Media" - that is, preaching of the Holy Word of God, and the proper administration of the sacraments. These are the means of "imaging" Christ that God has ordained - and no more. 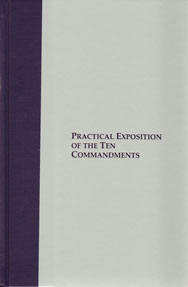 After read ing this work, which I trust will be a welcome resource for any who have to deal with this question in their families or churches, I decided to pull out another excellent resource - James Durham's Exposition of the Ten Commandments, and check again his remarks on the 2nd commandment. They are extremely helpful, and I offer a couple here. That is as succinct an explanation as can be given.. images of Christ are simply wrong, because they either divide the humanity of Christ from his Divinity, or they seek to portray his Divinity as the second person of the Triune God. Each is condemned. Durham writes further, stating that the existence of such an image also has problems - even if it is accepted as "Christ's portraiture." Many times I hear people argue (not dealing with the above objections, which are outside the thoughts of most, I suspect) that images of Christ (and even indeed of God the Father) are fine as long as they don't bow down to worship them as such. Even so, as many of them will admit, such images draw them into reverential thoughts and private worship of Christ, as an image of Christ (were it legitimate and allowable) ought to, as Durham wrote above. This second objection misses the point.. worship of images does not require the worshipper to be caught in the thought that the image itself IS a god of some sort... even worship of the true and living God, if images are used to direct the thoughts, or as aids in his worship, is strictly forbidden by this commandment. Durham swiftly gets rid of this objection by 1) remarking that if the image itself is worshipped as though it properly were a god, then that would not be a breaking of the second commandment, but the first! Images of the Godhead - whether for the express purpose of worshipping Him, or for the mere possession of them (which, because they excite devotion, and a worshipful frame in the believer, are no different than the first case) - are quite clearly condemned in Scripture. Hyde and Durham, two men 400 years apart, treat the subject differently, but with the same conclusion. Let us worship God aright and take care, however unpopular, to obey Him in ALL that he commands. Just received the Durham work from Naphtali Press today. Look forward to reading it.